Classic Italian silver belcher chains, made of the finest quality by renowned Italian chain makers. 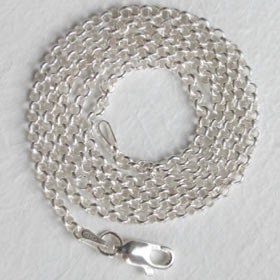 Booth and booth provides you with three versions of this silver belcher chain: these sterling silver belcher chains or rolo chains are available in widths 2.5mm, 4.0mm and 6.5mm. 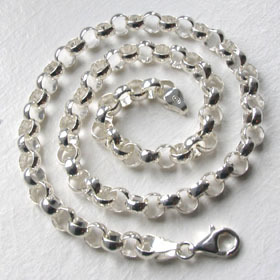 These silver belcher chains are beautifully fluid silver link chains which are excellent alone or worn with gemstone pendants. 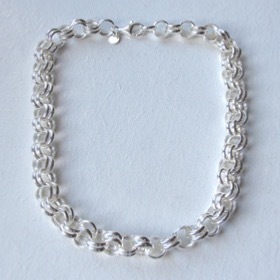 Our sterling silver belcher chains are suitable for both men and women. 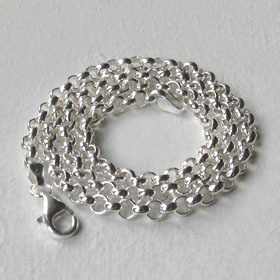 See our silver snake chains and silver rope chains which are also unisex.